Growth and innovation will not come from one single product improvement or an individual business. The most meaningful progress will come from smart(er) and leaner cooperation throughout the entire industry chain. partnerships and building relationships with leading industry players worldwide. How to be ready, at a time when efficiency and saving costs are the top priorities to survive? As a drilling contractor in today’s challenging industry, you are confronted with many dilemmas. How to stay compliant with classification bodies, even if there is no prospect of a contract and the budgets are limited? How to reactivate a stacked rig in a short period of time, as efficiently as possible? How to maintain the quality of the fleet at-large? And how to maintain high-quality standards when costs saving is the top priority? 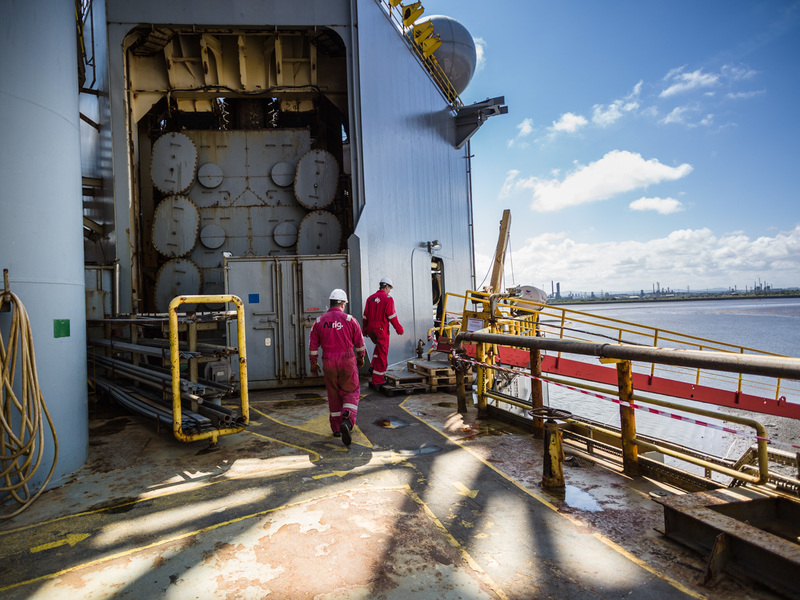 The added value of close cooperation and partnership was exemplified during a recent project in the North Sea. In Allrig’s ENSCO 72 project, Allrig helped Ensco on one of their rigs in the North Sea. To stay in compliance with the class body and to stay on contract. The OEM decided that almost the entire jacking system’s gearboxes needed to be renewed. Allrig was awarded with the renewal/replacement with 13ea. We overhauled several in our workshop and delivered new ones as well, sourcing parts and gearboxes from Allrig facilities all over the world in a very short amount of time, leading to both time- and cost savings. Following the work, the rig was again compliant with the class body and able to fulfill their contract on time. In Allrig’s ENSCO 92 case, Allrig delivered again. Ensco asked Allrig to inspect an offshore rig’s jacking system. Allrig suggested doing a preliminary survey to assess the issues before the rig went quayside, to already know which parts were needed. “After 2-3 days on the rig, we already knew what the requirements were, so when the rig came in quayside, we had the jacking system parts Ensco’s rig needed. We scaled up the team to six technical persons, installed the parts and made sure the change out was executed within time and budget,” says De Marie and Verduin. These three projects are only a snapshot of Allrig and Ensco’s flourishing partnership to-date. 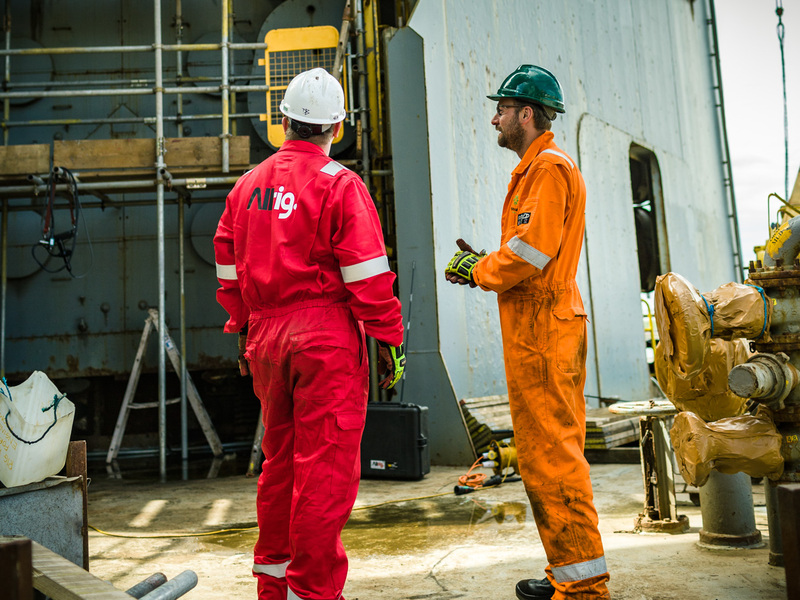 After several years of working together, Allrig is very familiar with most of the jacking systems in Ensco’s fleet, meaning that Ensco can be rest assured that Allrig will know what to do when a problem may arise. “Because we have a helicopter view of Ensco’s fleet and their jacking systems, we are able to assist, help and inform Ensco of potential problems, taking into account the servicing timeframes. This reduces the chance of future equipment issues and costly downtime,” explains De Marie and Verduin. Allrig adds value by thinking with partners and finding out-of-the-box and cost-effective solutions. For example, when most OEMs would recommend scrapping all gearboxes, Allrig finds ways to save as many as possible by overhauling and repairing those that are salvageable. “We know that every USD 1,000 saved on a product is a 1,000 saved for the company. We stay close to our customers, we think with them, and we save them money. Ensco has told us that they value our flexibility, our broad range of equipment and expertise, and the fact that we are always there and ready to help,” adds Michael de Marie. Allrig’s partnership with Ensco developed around four years ago, in 2013, when the asset manager inquired about Allrig’s knowledge and expertise on the NS400 jacking system. Today, Allrig is an approved vendor for Ensco on the overall repair of drilling equipment and jacking systems. Ensco values our exceptional service and personal touch—our big company capabilities and small company attitude. In a service provider, Ensco looks for one that can solve a problem, that’s it. Ensco appreciates that Allrig is enthusiastic, accessible and goes the extra mile to come up with better, faster and cheaper solutions than others. For Ensco, that’s what differentiates Allrig and makes us the obvious choice as a service partner. At Allrig, we take pride and time in working alongside all of our customers to find the best, most time- and cost-efficient and innovative solutions we can. Whether it’s sourcing OEM parts from around the globe, manufacturing new parts, carrying out inspections and repairs on the rig offshore or servicing quayside at one of the international shipyards where we have teams ready to assist, we promise to deliver out-of-the-box solutions, a refreshing can-do attitude, and a hands on personal approach to solving your fleet’s problems.